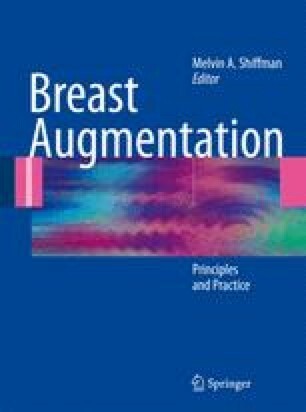 Multiple factors can influence the decision of whether to use either saline-filled or silicone-gel-filled implants for cosmetic breast augmentation. There are differences in implant performance and appearance; differences in patient anatomy, desires, and concerns; and differences in surgeon preference. The rate of capsule contracture should be considered. The softness of the implant is of greatest importance when the amount of native breast tissue under which it is placed is less voluminous. The size of the implant and the position of the pocket, under or over the muscle, will affect the end result. In general, the gel-filled implants have the advantage of a more natural feel in the case of the softer gels, which is important for patients with less robust soft tissue coverage.